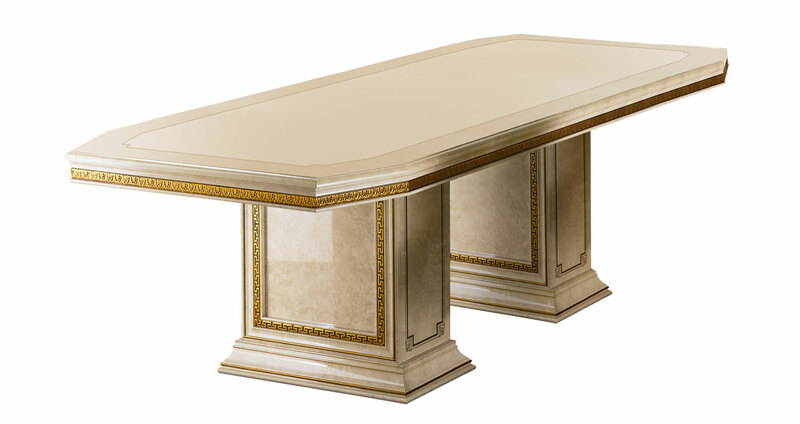 The table from the Leonardo collection is an ode to the monumentality of neoclassical style. Large and spacious, this feature becomes the cornerstone of your dining room, capable of holding the gaze through attention to every detail and the great composure of the design. The finishes have also been specially coated to guarantee their sheen and durability over time.